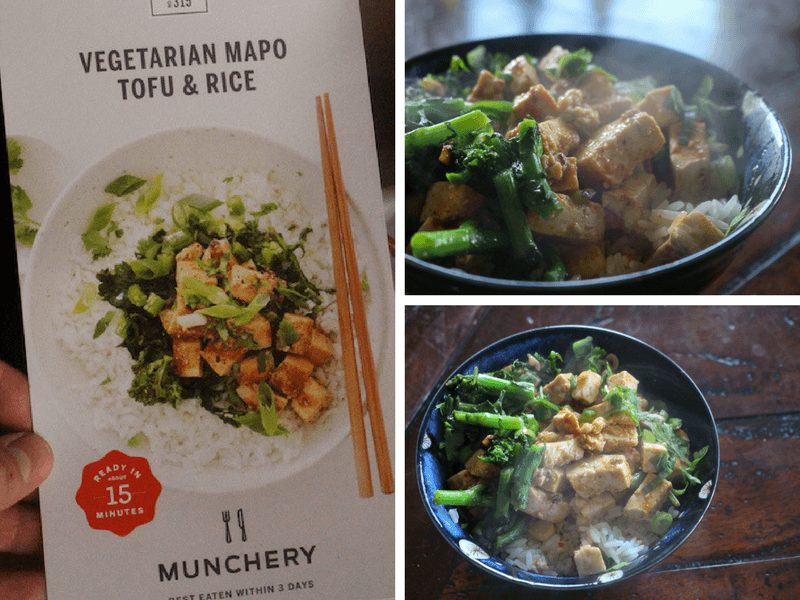 Munchery Meal Kits Review: Quick & Easy But Were They Tasty? I gotta say, this was the perfect week to have a Munchery box on hand. Last week was Thankgiving, and I went to Tahoe with my girlfriend for a few days. When I got back, I didn't feel like cooking at all. Luckily, I had gotten a Munchery delivered the day before I left, and all the food was still fresh by the time I got back. Although cooking these “15 minute meal” boxes aren't as fun as the full boxes as Sunbasket or Blue Apron, they sure to save a lot of time. Most of the time is saved in the sauce making. Munchery meals really do prepare in about 15 minutes, so if you are getting meal kit deliveries to save time on cooking, Munchery is a good option. Check out my review of Gobble to see why I liked them better. To see this weeks menu, you need to create an account on the website. That's a bummer, because I like to preview what I'm going to be signing up for before handing over personal information. This practice is pretty standard for meal kit services though, so I guess there's not much to do about that. Munchery offers both meal kits and prepared meals! That's pretty rare. It's usually one or the other. So if you really don't have any time to cook, you can just have someone make the food for you, and it'll ship frozen, ready to heat and eat! 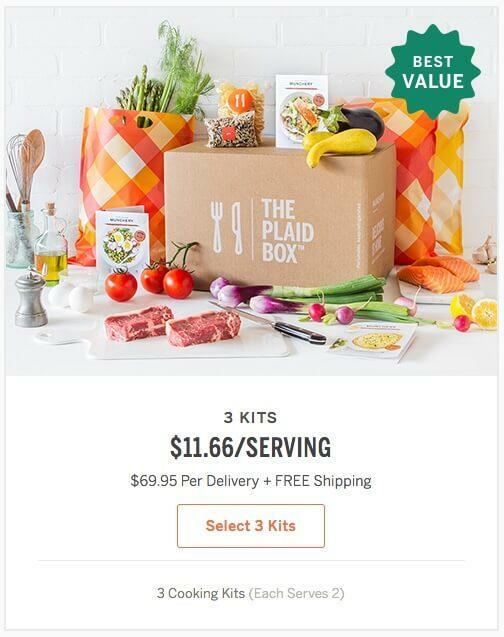 Once you sign up, you immediately get to pick the number of meals per week, the day of delivery during the week, and 2/3 different meal kits depending on your plan. There's only six to choose from though, which is kind of disappointing! 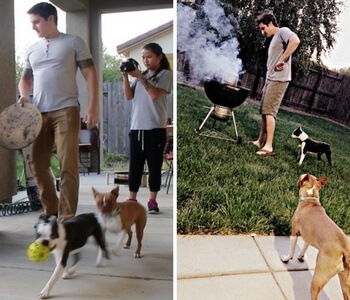 Also, the meal photographs look very “washed out”, like they were taken in a hospital. I honestly thought this was a meal kit service for seniors because it looked like very plain food. Don't worry though, the food was delicious. I do think they should take some better photographs though! There are also no allergen options here, unlike some other services that offer gluten free, paleo, dairy free, or other options. There are also no family sized meal kits, or the ability to order more servings. It's a pretty straightforward offering that Munchery has available at this time. That's totally fine for someone like me, but if you have any special requirements, you may want to investigate other meal kit services. I have many reviews on my site here for you to check out. These guys hit a home run with their packaging if you ask me. It was super easy to take out of the box, simple to organize in the fridge, and look less time during preparation. 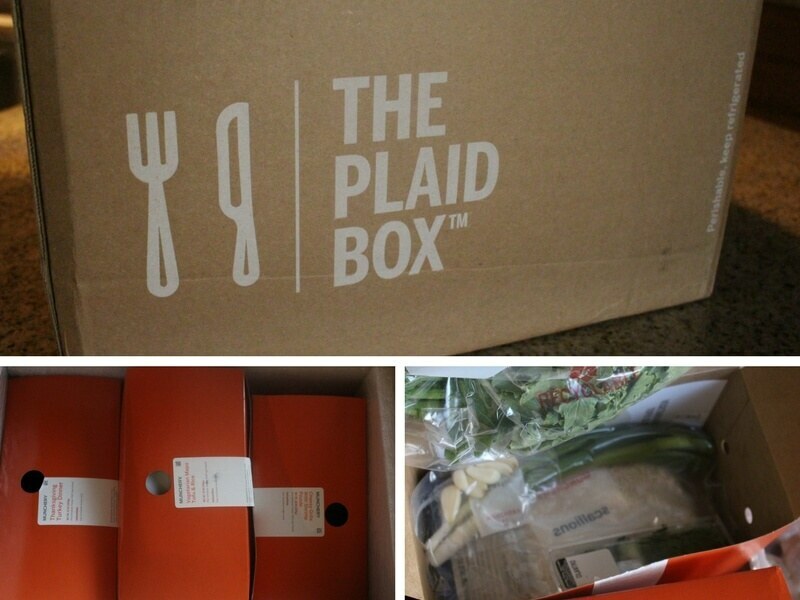 Each meal comes in its own orange box, with all the ingredients and the recipe card inside (meat was out of the boxes between the ice packs). Though the boxes do take up more space in the fridge, so I see how that could be an inconvenience for someone with a small fridge, or someone with a lot of groceries on hand for other meals. For me, I was able to just toss them on the empty shelf, then grab them out when I was ready to cook. No more matching the recipe card list to random items in the fridge, or color-matching packages to find all the ingredients! The recipe cards are relatively small, so they would be easy to store. However, considering that many of the sauces are premade, it would be hard to remake the recipes on your own. Unlike other meal kit services which have you make everything from scratch, stuff like curry, gravy, and Asian sauces will come in a package that you simply heat up in the pan or microwave, I just toss the cards. Maybe they could save on waste by printing the recipes on a sticker or on the boxes! 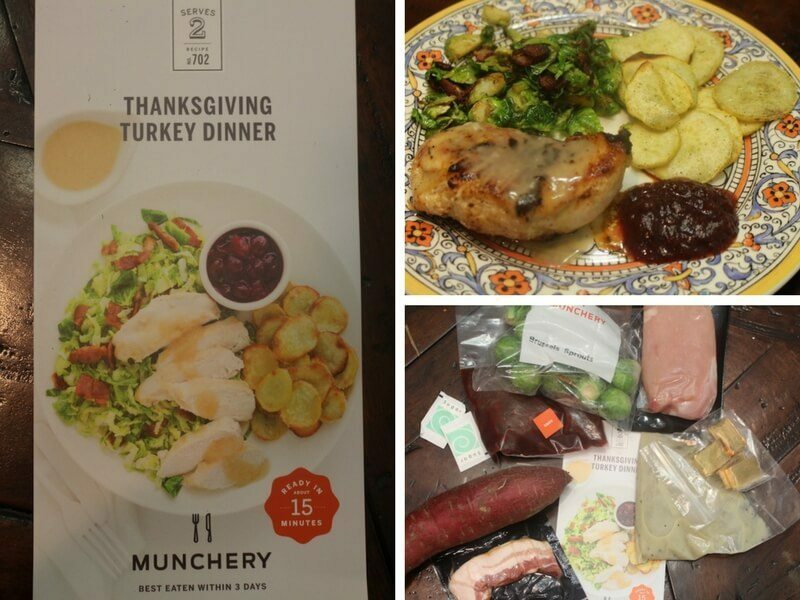 The meals delivered from Munchery weren't super-exciting, but they were tasty. They definitely exceeded my expectations in terms of flavor! 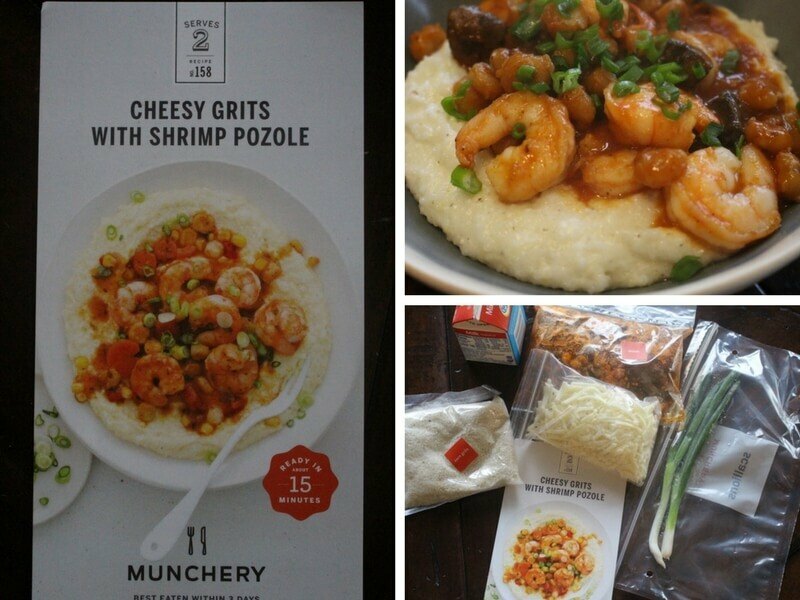 My favorite recipe from this week was the cheesy grits and shrimp. The turkey dinner was very disappointing though. It was just a pan-fried turkey breast with some watery gravy and apple-sauce-texture cranberry sauce. The meals, on average, were really good though, and were also filling. I had never eaten grits before, so I was skeptical. It seemed like something Tiny Tim would eat served at a soup kitchen. The texture took a little getting used to, but adding milk and cheese really made these kind of like cheesy mashed potatoes. Here's the recipe. Tofu gets a bad rap. People think that the only reason to eat it is because you're vegetarian. Not true! After 5 years in China I discovered that tofu is good as its own food group, neither meat, nor vegetable. I also love the mapo flavor, which I immediately recognized. This mapo tofu was a very Americanized version, which was disappointing, but good enough for me to reminisce. The redeeming part of this meal was the bacon and brussels sprout side. The turkey and potatoes were mediocre, and the cranberry sauce was not very good at all. Perhaps I'm just comparing it to a “real” Thanksgiving dinner, to which this meal can't really compare. It took a bit of poking around for me to figure out how to cancel, but I eventually found it. I ran into a 404 Not Found page by searching in Google, but if you click the Customer Care button within your account settings, there's a cancel link at the bottom of that page. Simple enough! Munchery is a lot faster than other meal kit services out there. Some meals from Plated can take 30-40 minutes long. I even ran into one meal from Peach Dish which took more than an hour to prepare. By that time I could have gone to the grocery store and cooked something else! They aren't the only 15-minute-meal game in town though. Gobble is competitor in the same vein, and I preferred their meals a lot more. They have a vegetarian option and a few ways to customize their meals, including the possibility of adding kids meals, extra soups, and a lunch addition. There are more meals to choose from, and the meal options have a greater variety of flavors. I even ordered a second week of their meal kit just to see if I had an exceptional week for my first order. I was still impressed the second time around! If quick meal kits are what you're looking for, then that would be my top recommendation so far. However, I still found their premade sauces to be a bit buttery/creamy/heavy, and they didn't have that “fresh” flavor of cooking everything from scratch. Even though these types of meals are convenient, I personally prefer the regular meal kits like Blue Apron. My current all time favorite meal kit is Plated, but Sun Basket is a close second. 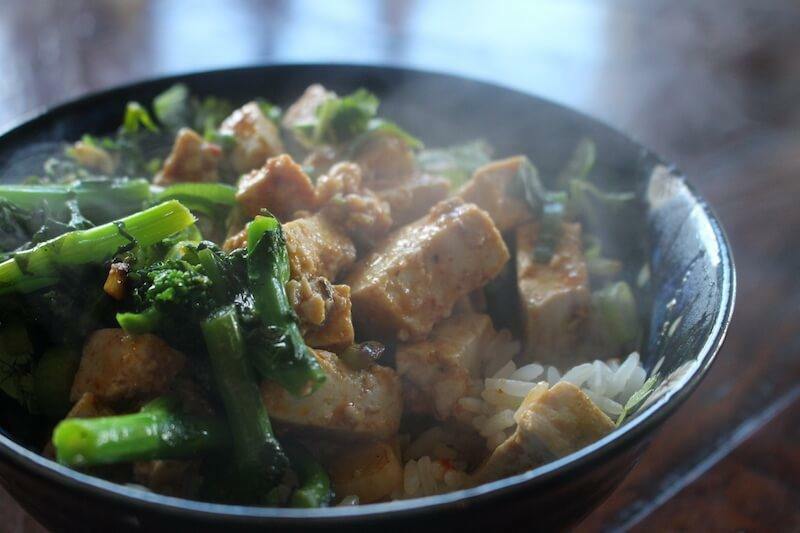 ==> Sign Up For Munchery Here! You are here: Home / Meal Delivery Services / Munchery Meal Kits Review: Quick & Easy But Were They Tasty?